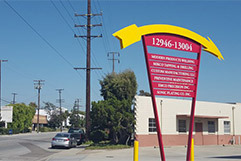 Sonic Plating Inc. was founded in the city of Santa Fe Springs, within Los Angeles County, California in 1962 and incorporated in 1965. Sonic Plating Inc. subscribes to a Quality Management System and is registered as an ISO 9001:2015 company, by QMI SAI Global. We are a large production-line plating company with the ability to produce over 75,000 lbs. of plated product per day. Our current customer base spreads across the united states from coast to coast and internationally. We have been proudly serving some of our long-term and faithful customers for over 35 years. 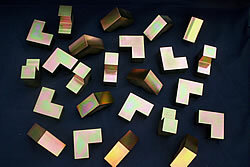 We specialize in Zinc Electroplating and serve many markets. We have several large production plating lines and can routinely accommodate heavy and bulky items down to extremely small and fragile critical parts. Our primary markets include the fastener industry, construction, automotive, aircraft, electronics, recreational products, home appliances, engineering metal, heavy-duty trucks/off-road vehicles, plumbing, industrial machine parts, furniture and structural fixtures. We offer specialized zinc requirements for those demanding a RoHS compliant and toxic-free finish. We offer both rack and barrel line services to meet our customer’s demands. Our barrel line is one of the top volume zinc plating lines in all of California, designed to ensure that your parts will be returned to you on time and within the strictest specifications.